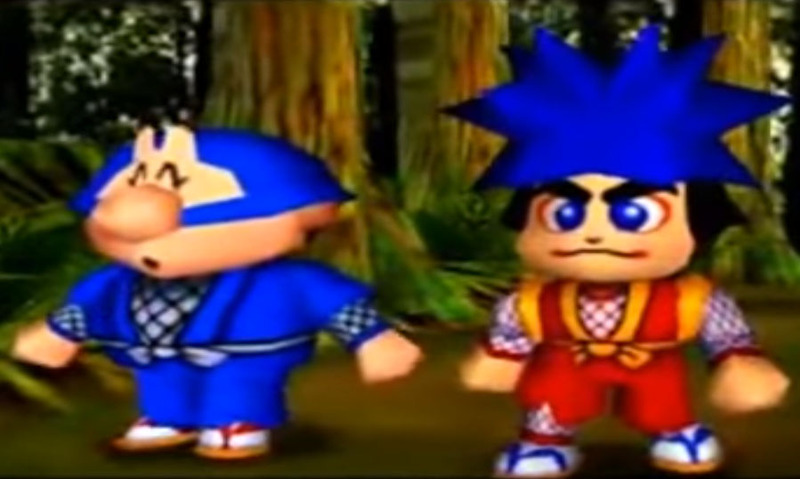 Goemon’s Great Adventure was released in December 1998 and the sequel to Mystical Ninja Starring Goemon that was also released on the Nintendo 64 around 2 years before. 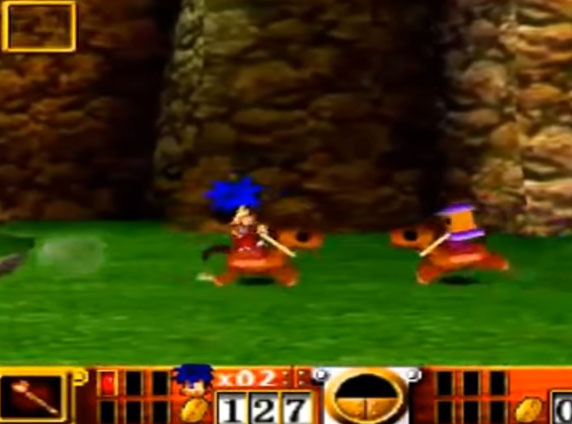 It was also the third game in the long running Ganbare Goemon series that made it to the west while the majority of the Goemon games were only released in Japan. The game is a really fun action platformer that combined typical 2D gameplay with some elements of the third dimension and plays in a fantasy version of the Edo time in Japan. There are the action stages as well as the cities like in previous games and the story is all about stopping an antagonist and his army of undead..beings. Beside Goemon and Ebisumaru there are also Sasuke and Yea as playable characters. Each of them has a different weapon and a few other unique abilities of course. Personally I liked the whole Mystical Ninja series a lot since I came in touch with it on the Super Nintendo. It’s a real pity that so many of them were never released outside Japan. And well, it is also a real pity how Konami changed. 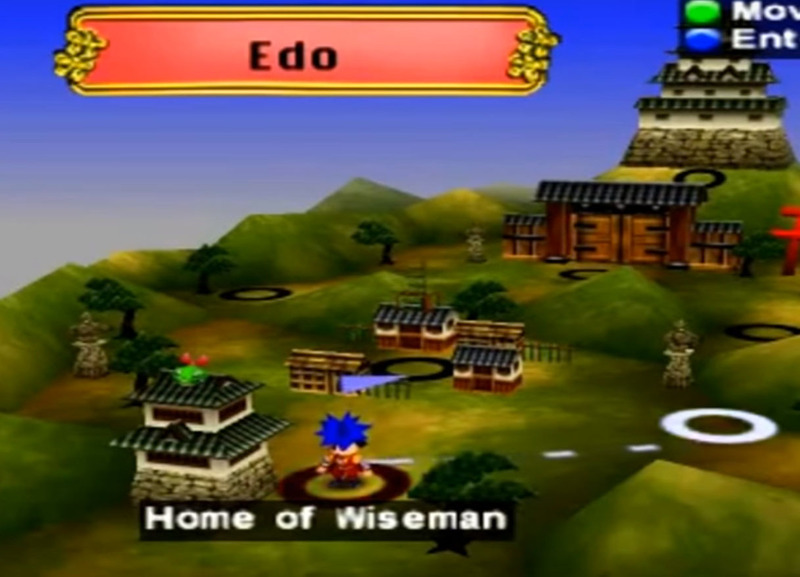 The last Goemon game was released in 2005 on the Nintendo DS, and its like that with almost all of Konami’s old IP’s now. 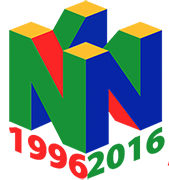 Thanks @ BartonDH to choose this not so known Nintendo 64 game for our Anniversary Project and giving me a reason to write about this almost forgotten gem of a game. Goemon, Ebisumaru, Yae, and Sasuke drawn by Rubén “BartonDH” Gutiérrez M.
“In my opinion Goemon’s Great Adventure is one of the best platformer games for the N64 , not as good as the first one but it has a really fun story , gameplay , great sense of Humor , and the characters are really Unique . I choose this game because i think it’s a great franchise , as i mentioned before the characters are really unique and funny ,also i have really good memories about the game , we used to play it for hours with my brother , and no matter how many times we beat the game , it was fun every single time .